Meet the happy people there." Ask anyone who shopped at Robeson's Department Store, and they'll tell you that it was a special place, a true relic of the past. Started by a young, ambitious man named Frank Kern ("F. K.") Robeson in 1874 as a small dry goods store, Robeson's became an iconic shopping center in downstate Illinois. A true visionary and innovator who turned his back on larger markets and potentially greater fortunes, Frank Robeson didn't believe in the word "impossible." He saw endless possibilities inherent in the fertile, growing community he lived in, and he never wavered in his quest to bring its residents everything that the big city up north possessed. F. K. passed this legacy on to his son, Frank Robeson, Jr. ("Roby"), who took his father's lessons to heart: Never compromise your sense of right and wrong; never doubt your own convictions; work hard; live life to the fullest; fear nothing and no one; and perhaps most importantly, always give respect and offer help to those who need it. Roby's son, Kyle, furthered the tradition of civic-minded service instilled in him by his father and grandfather. With impressive business instincts and a passion for hard work, Kyle ran the store with gusto and creativity and expanded the family business far beyond its walls. But in the late 1980s, the retail environment changed. Homey, family-owned department stores like Robeson's were being shoved aside in favor of large malls on the outskirts of town. Fast forward to 2010, when we can buy anything without speaking to anyone, without even leaving our homes, and megastores dominate the landscape, and it is evident that things have evolved further still. But in another era, principle reigned over greed and mass marketing, and shoppers had other choices at their disposal. On December 15, 1989, Kyle Robeson announced that Robeson's Department Store would soon close its doors. After 116 years of retail service, hundreds of employees offering their expertise, and countless loyal customers breezing in and out of the doors on a daily basis, it was finally happening—Robeson's would be no more. A final chapter was being written on a major piece of Champaign-Urbana retail history. It was a bittersweet time for the Robeson family, and prudent decisions had to be made. On February 17, 1990, Kyle Robeson, surrounded by customers, friends, long-time store associates, and a national television crew documenting the historic event, bravely shook many hands and spread well wishes to all, saying repeatedly, "We appreciate everybody." 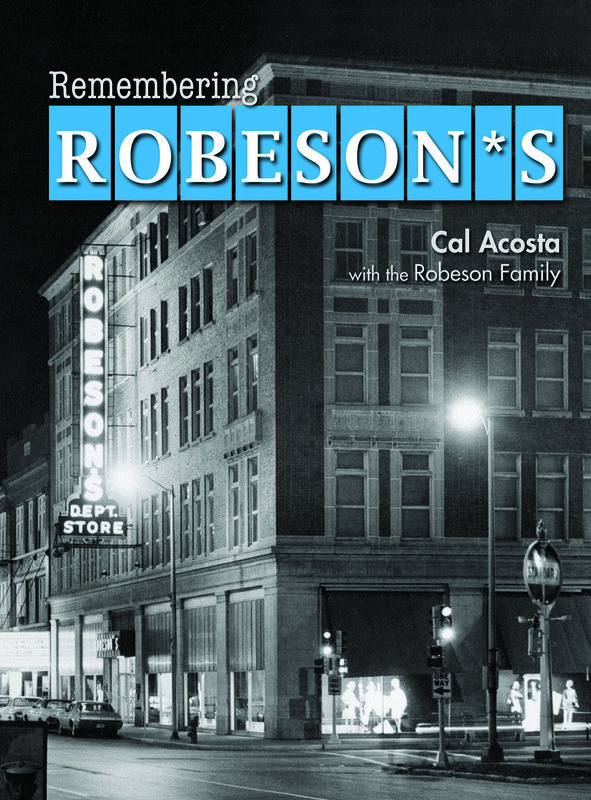 Remembering Robeson's is the story of the Robeson family of Champaign, a family committed to a retail philosophy of putting people and service before the bottom line. It's a story of a small store that grew from humble beginnings to a thriving business that regularly employed 250 people. It is a story of family, a dream, and a growing city, all intertwined with the fascinating history of our country.